Last week, Google released Google Maps app for iOS in the App Store, with built-in Google local search, voice guided turn-by-turn navigation, public transit directions, Street View and more. Since Apple removed the old Google Maps from iOS 6, replacing it with its own troublesome Maps app, plenty of people weren’t upgrading to iOS 6 due to this. 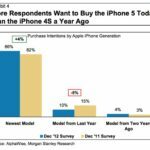 Following the relaunch of Google Maps, Chitika Insights has studied whether iOS 6 has seen an increase in overall adoption. In order to see whether users who were waiting for the Google Maps feature decided to upgrade or not, Chitika Insights analyzed data from the Chitika Advertising network both before and after the launch of Google Maps to quantify its impact on iOS 6 adoption. 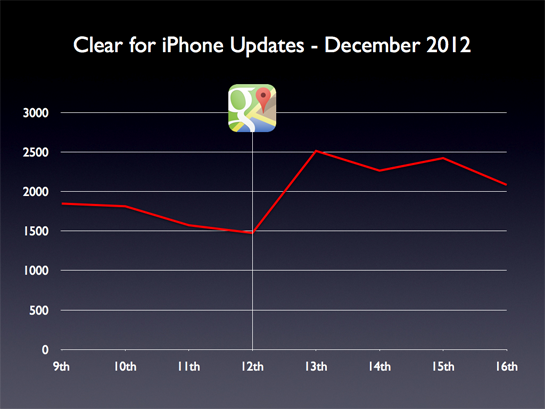 It appears that the Google Maps relaunch had no significant impact on iOS 6 adoption. 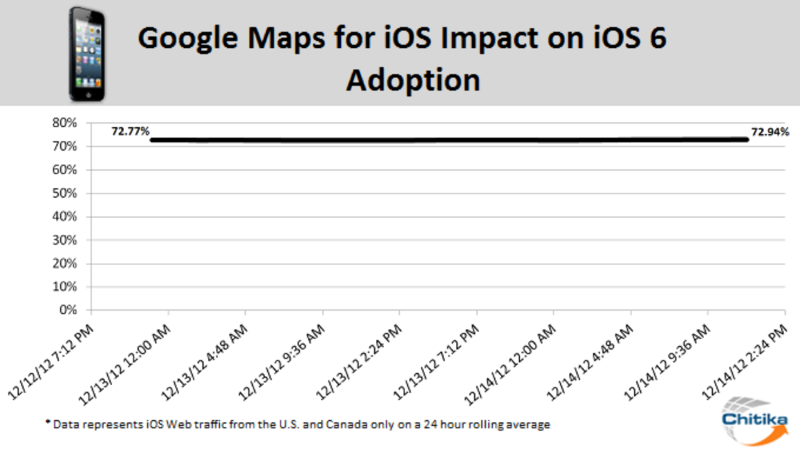 Considering that the news of Google Maps’ re-entry into the Apple App store didn’t truly make its way out into the public until late morning on December 13th, it is possible that adoption of Apple’s latest mobile OS will continue to increase in the near future, as some holdout users upgrade due to the new mapping software. Similarly, developers of the popular to-do app Clear for iOS, have studied if Google Maps relaunch had any effect on the number of people updating to Clear v1.2 (which requires iOS 6). Turns out the number of updates being downloaded following the Google Maps app release, is still less than 2% of the updates downloaded on launch day for Clear v1.2. Did you update to iOS 6 following the Google Maps for iOS relaunch?